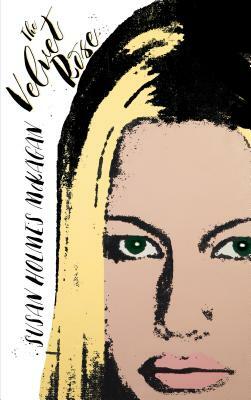 A journalist (The Huffington Post, PopWrapped) who has also worked as an internationally recognized model (covers of many magazines and photo spreads), Susan Holmes McKagan is here this evening to read from and discuss her newly published first novel, The Velvet Rose (Rare Bird). This book draws from a life richly lived, in fashion capitals and in the company of one of the world’s foremost rock musicians and the band he is part of. What parts are fiction and what parts might have basis in real life, could well be forthcoming as she will be joined in conversation onstage by her husband, Duff McKagan, renowned bassist for Guns N’ Roses and Velvet Revolver. He comes by the interlocutor role with some experience, playing that role with grace and assurance onstage with Sean Penn last year. He also has been onstage for his own books, It’s So Easy (and other Lies) and How to Be a Man (and Other Illusions). “Susan writes with such a vivid authenticity in The Velvet Rose because of her history and in depth experience in the world of fashion and rock n’ roll. She offers such a unique and very rich perspective within the details of these worlds not a lot of writers can say they have.” ―Juliette Lewis.